Everyone knows you need to take a daily multivitamin… But how do you know you have a good one? 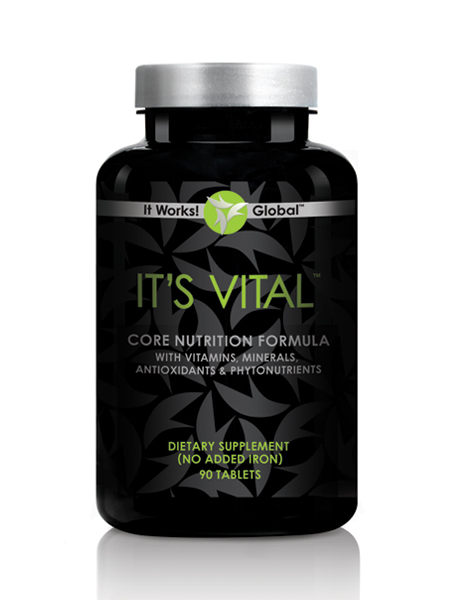 BIOAVAILABILITY or “the ability to be absorbed.” Our It’s Vital has 70+ BIOAVAILBLE ingredients. Superior absorption within the body- so your body is actually getting all of the vitamins, minerals and phytonutrients it needs on a daily basis to have optimal health. Our It’s Vital is made with whole food ingredients. Nothing artificial. No chemicals. Everything is in its proper form so that your body can absorb it. 70 ingredients- Including vitamins A, B, C, D, E, and K, folic acid, selenium, copper, super antioxidants and phytonutrients. Gluten-free, plant-based, whole food complex. Highly nutritious concentrated foods that your body needs on a daily basis that we don’t normally eat.